This Hungarian sour cherry cake recipe or meggyes lepény is a simple dessert made with the sour cherries Eastern Europeans love. Dark Morellos or fire-engine-red Montmorency varieties can be used. 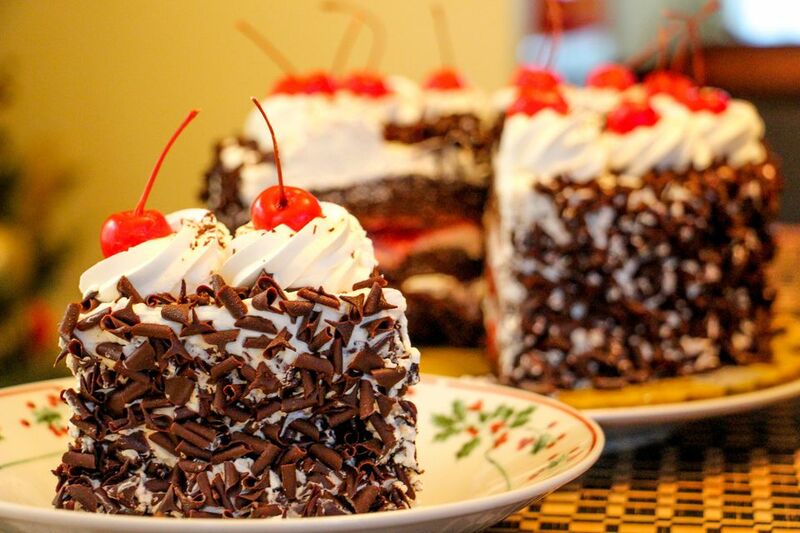 This cake is sometimes eaten for breakfast and is similar to Czech cherry bublanina or bubble cake. Lepeny refers to its rectangular or square, sheet-like shape but, these days, this cake can be baked in a round pan or even a Bundt pan. As with bublaninas, lepeny can be made with any seasonal fruit, curd cheese, nuts, poppyseeds, jams, and candied fruits. Heat oven to 375 F.
Wash, stem, and pit the cherries, leaving them whole. Set aside. Using 1 tablespoon butter, grease a 10x6-inch rectangular tart pan, or a 9-inch square, or a 9-inch round cake pan and dust with breadcrumbs. Set aside. In a large bowl, cream 6 ounces butter and half the white sugar until light and fluffy. Add egg yolks and continue creaming until well incorporated. Add the flour and salt, mixing well. With clean, grease-free beaters, whip egg whites with remaining white sugar until stiff. Gently fold whites into cake batter. Transfer batter to prepared pan. Top with cherries stem side down. Bake 30 minutes. The batter will partially bubble up and cover the fruit. Remove from oven and cool in pan. Sprinkle with vanilla sugar. Cut into squares or wedges and serve.